Blue Note Records is an American jazz record label, established in 1939. It derives its name from the characteristic "blue notes" of jazz and the blues. Originally dedicated to recording traditional jazz and small group swing, from 1947 the label began to switch its attention to modern jazz including Thelonious Monk, Art Blakey, Fats Navarro and Bud Powell. This tour will be celebrating Blue Note’s 80th Anniversary. Under the watchful eye of its president, Don Was. They will be presenting the following three artists in a spectacular celebration of the label and Jazz Music today. Only Blue Note Records, with their unique brand of cool, could assemble such a dynamic evening of talent and music. 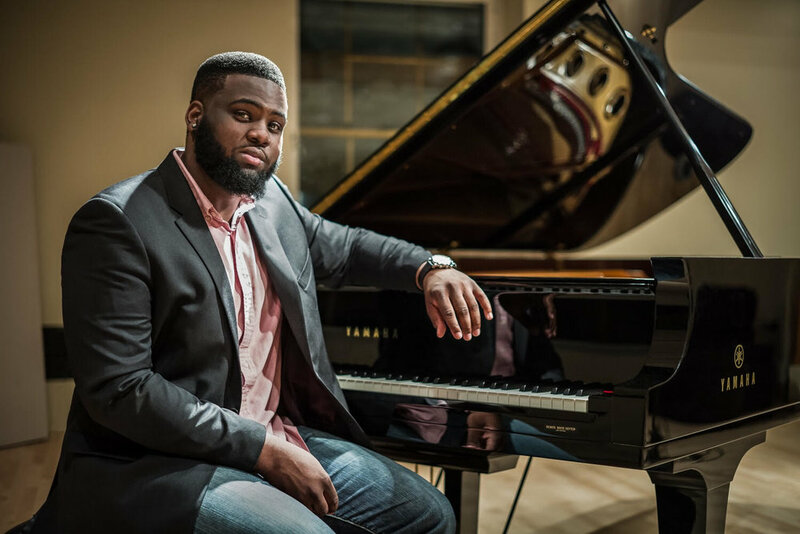 22-year-old James Francies is next in the long line of jazz pianists who have characterized the music of Blue Note. He has recorded and or performed with Christian McBride, Pat Metheny, Chris Potter, Robert Glasper and Lauryn Hill, among many others. He also performed on Chance The Rapper’s hit single “No Problem” which went on to win 2 Grammy Awards. In addition, he frequently fills-in with The Roots on Jimmy Fallon. James Carter is a 49 year old Saxophonist from Detroit. He as recorded 18 albums under his own name while appearing on many more with artists including The Art Ensemble of Chicago, Ginger Baker (Cream), Kathleen Battle, Herbie Hancock, Wynton Marsalis, Madeleine Peyroux and Marcus Miller, among others. The organ combo reigned for several decades as jazz’s meat-and-potatoes mainstay, a populist vehicle for blues-drenched blowing. In the hands of James Carter, one of jazz’s most sophisticated improvisers, the organ trio is no less meaty and satisfying. But his virtuosic saxophone chops elevate the organ combo to a rarefied realm defined by delectable soul, a gourmet repertoire, and consistently inspired group interplay. Featuring the lithe and muscular keyboard work of Detroit’s rising B3 star Gerard Gibbs and the propulsive drum support of Motor City trap master Alex White, the multigenerational James Carter Organ Trio is now in its seventeenth year. The show will feature a performance by each of the artists with their own bands performing a collection of their original material. At the end of the show all three artists will perform together a selection(s) from the historic Blue Note catalogue.